Professor Alison McGuigan (ChemE, IBBME) has been named to the Royal Society of Canada’s College of New Scholars, Artists and Scientists. Established in 2014, the College is the country’s first national system of multidisciplinary recognition for the emerging generation of Canadian intellectual leadership. 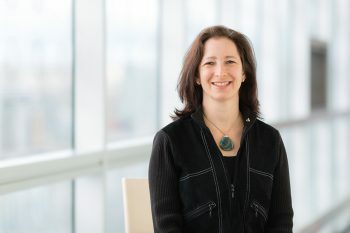 McGuigan joined U of T in 2009 and since then her research team has made significant contributions to the fields of tissue engineering and disease modelling. Her work addresses fundamental questions about how tissues are assembled, and provides platforms to identify novel therapies that treat disease and promote tissue regeneration. One example from her earlier work explored the fundamental rules that govern how groups of cells, grown in a multicellular tissue, coordinate their movement and reorganize in response to patterning signals. Her team demonstrated that tissue packing and restricted free space for cell movement enable long-range propagation of tissue patterning signals. 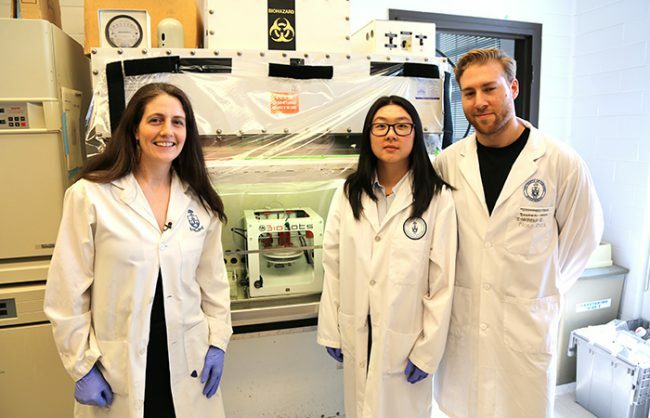 Her efforts are creating a quantitative framework for engineering artificial tissues with complex multi cell type structures that mimics processes that occur in developing embryos. 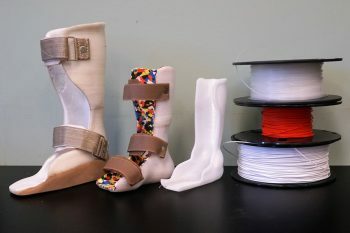 In 2015, McGuigan began exploiting tissue-engineering strategies to address challenges associated with developing new disease therapies. 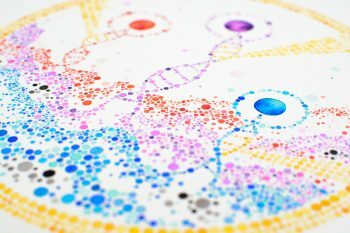 Currently it takes over 10 years and several billion dollars to develop one drug — new testing models to make drug discovery more effective are critical to ensuring it reaches patients as quickly as possible. McGuigan invented a method to assemble and disassemble artificial tissues within seconds, enabling the creation of complex tissues that better mimic conditions in patients while also allowing easy analysis for drug discovery. Her novel approach has been described in high-impact articles in journals such as Nature Materials, Nature Protocols, and Biomaterials. Beyond academia, this work has also gained the attention of multinational industrial partners who are applying her technologies to identify novel therapeutics for cancer and a number of tissue degenerative diseases. The College was created to gather young scholars, artists and scientists into a single collegium where new advances in understanding will emerge from the interaction of diverse intellectual, cultural and social perspectives. Its newest members will be inducted at the Society’s Annual General Meeting in Halifax on Nov. 15, 2018.